An Australian politician was widely condemned yesterday after demanding “a final solution” to immigration and a return to the White Australia policy favouring “European Christians”. 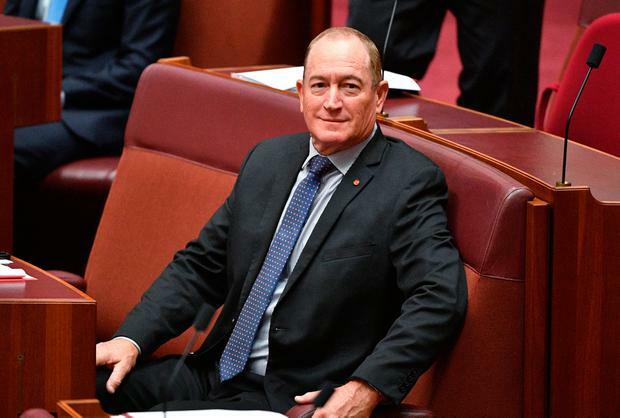 Queensland senator Fraser Anning stunned lawmakers when during his maiden speech he invoked the infamous Nazi phrase used in reference to annihilating Jewish people in Europe. He also sparked outrage by calling for a ban on Muslim migrants and for defending the race-based White Australia immigration policy which was in place for seven decades from 1901. “We as a nation are entitled to insist that those who come here predominantly reflect the historic European-Christian composition of Australian society,” Mr Anning, formerly of the populist One Nation Party and now with the Katter’s Australian Party, told the senate on Tuesday. He added that “ethnocultural diversity has been allowed to rise to dangerous levels in many suburbs” and that Muslims had “consistently shown to be the least able to assimilate and integrate”. Mr Anning insisted yesterday that he did not know the connection between the phrase “final solution” and Nazi Germany. “I don’t regret anything. I am not going to apologise,” he added. Data released last month showed annual migration to Australia hit a 10-year low of 162,00 last year as vetting procedures were tightened. Bill Shorten, Labor opposition leader, called the speech “a low point for our parliament”. Even Pauline Hanson, who runs One Nation on a platform of zero-net migration and opposition to Islam, said Mr Anning went too far. Next articleRichard Curran: Did we sell Aer Lingus too low?